Maker Assembly will be a one-day gathering of makers taking a critical look at the maker culture: its meaning, politics, history and future. Join us! The Elephant & Castle Mini Maker Faire organisers teamed up with other maker events organisers (Brighton Mini Maker Faire and the V&A Digital Programmes) to create a community-run event where we hope makers, artists, designers, academics will connect and share their experience. The event takes place on Saturday, 24th October 2015 at the Victoria & Albert Museum, London as part of the Crafts Council’s nationwide Make:Shift:Do programme. Thanks to the support of our sponsors, the event is free to attend, but we will take a £10 deposit at booking, which will be refunded on the day for those who attend. We want to ensure the event is as accessible as possible, so some travel bursaries are available for those coming from outside London. Please see the Eventbrite page. A lunch will also be provided. Dean Brown – A London-based designer with an interest in concept retail, narrative driven installations and cultural artifacts. 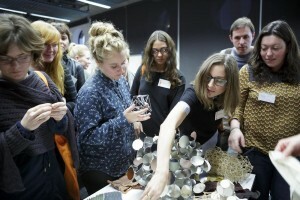 Liz Corbin – Researcher, maker, collector, curator and eternal student of materials. Founder of Open Workshop Network. Janet Gunther – An American/British activist, anthropologist, co-founder of the Restart Project. Nat Hunter – Strategic director at Machines Room makerspace. Phoenix Perry – Professor, CS PhD researcher, game company owner, artist, programmer, game designer, activist and lunatic extraordinaire. Dr. Rebecca Ross – Communication Design Course Leader at Central Saint Martins. Working at the intersection of visual culture, interaction design, and urban studies. Adrian Smith – Researcher of society, technology and politics at the Science Policy Research Unit, University of Sussex. James Tooze – Design consultant, researcher and lecturer at Royal College of Art. This event is supported by the Comino Foundation, the Craft Council and the Victoria and Albert Museum. For more information, see the Maker Assembly website. Unfortunately after trying our hardest to find a way to make Elephant & Castle Mini Maker Faire 2015 happen, it appears not to be possible but we’re working hard to return in 2016! If you’d like to receive updates about our event please sign-up to our mailing list and follow up on twitter and facebook. 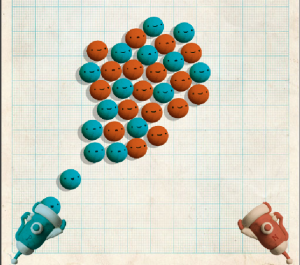 Atomic Arcade is an interactive atom-building simulator that allows users to build their own atoms by ‘firing’ protons and neutrons with buttons in an arcade machine. The behaviour and movement of the particles are designed to illustrate the basic behaviours of atomic nuclei, and the relationships between the chemical elements. This will be a visually engaging piece of art as well as a game, using humour, animation and explorational gameplay to communicate scientific principles. 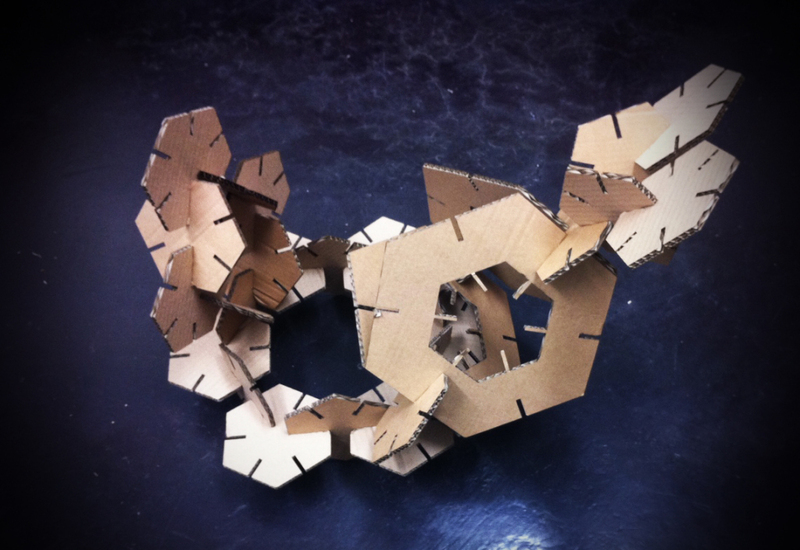 Create complex and visually ecstatic emergent structures and spaces using our laser cut geometric components. Assemble and make unique custom designed furniture using our pre laser cut components. An opportunity to discuss and design alternative solutions to design your own unique optimum space, structure or furniture piece. Interact and use SketchChair design App to design your own optimum designed furniture ready for fabrication. DigiHaus is a design & digital fabrication studio based in the heart of London, specialising in design and fabrication of bespoke products. Their team is composed of highly trained designers and technicians all passionate to further the potentials of laser cutting and 3D printing. CubeMate allows colleagues, friends and flatmates to share their moods with each other without having to say a word. It’s a small cube consisting of interactive and funny lit-up faces. CubeMate can be placed in a common space of the office or the house, so everyone can see you mood. 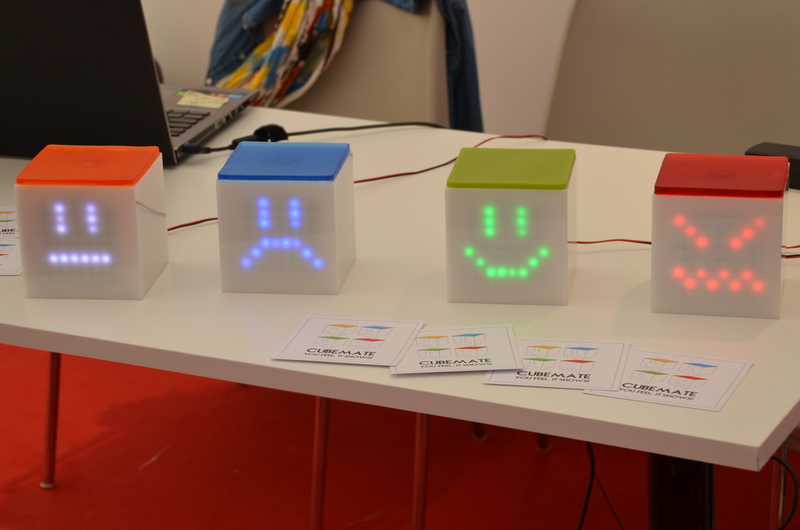 By clicking on its top face, people can communicate each other their mood thanks to the LEDs arranged on the front face. 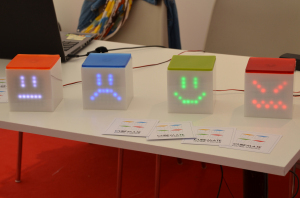 CubeMate can display facial expressions, through specific lighting shapes, that correspond to four moods: “happy”, “calm”, “angry” and “sad”. Top faces of CubeMates are made in different colors and each person can choose his/her own color. This cube can improve cohabitation quality in shared spaces such as a flat share or office. Everyone can now let each other know if they want to be alone or if they want company!